If you're looking for a solid applicant tracking system, I would go with SmartRecruiters. 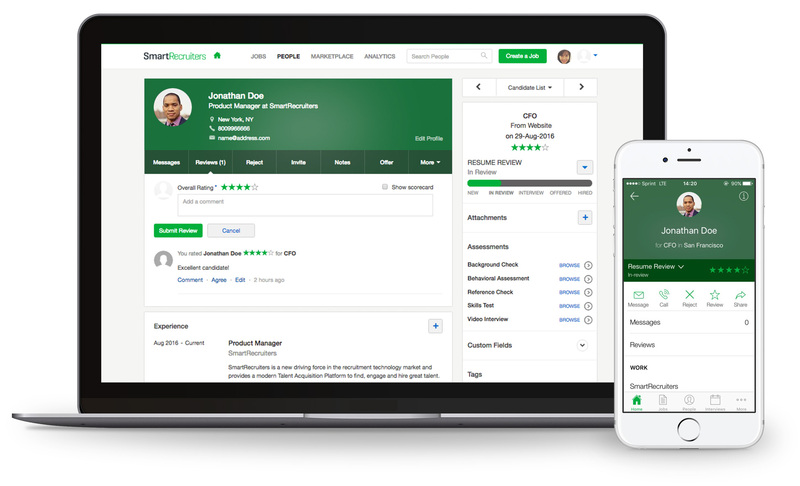 Overall, SmartRecruiters is very reliable and I've had a great experience with it. It takes some time learning the ins and outs of it, but right now we're maximizing our use of it and we're happy with how it has helped to improve the efficiency of our department. Our number of hires has increased and we're getting new hires in for training a lot faster than before. If you're looking for a great reporting program, I would not go with SmartRecruiters. At the moment, we're manually tracking the data we want to know because SmartRecruiters does not have a strong reporting feature built into their system. SmartRecruiters gives us the ability to link and share candidate information with the home office as well as with the other 157 Christian Brothers locations across the country. Uploading to specific publications is a snap and the subsequent integration with the tool for uploading resumes is excellent. Notifications of new candidates comes through email which enables passive monitoring even wen we do not have an active posting. It has some bugs which makes it slow when managing a large number of employees at the same time. The product is very easy to use. It's simple and well put together, but flexibility for customizing is lacking. Rarely is there an issue and if the product is down, it typically is restored quickly. I have no complaints about performance. The system works virtually flawless. Usually, responses are answered in a quick fashion. Follow-up from company reps if it is a major issue. It really was a painless and easy process to switch to SmartRecruiters. Accurate is much better. The most thorough background check company I have ever used. No explanation really, just a great product. Our turn around time has decreased by half as far as complete background checks are concerned. This allows us to keep our candidates and improve their experience. We averaged a savings of over $2,000/year thanks to Accurate's ability to create customized packages. Time savings. Having everything in one smooth system made life easier for our end users. Better quality of hire. We could pursue good candidates quicker and more professionally. View your candidate information on your desktop, or on the go via our mobile app. The software subscription is determined by the number of full time employees in your company. A one time cost to set up software, including customizations, integrations, data migration and training.